First up, news headlines on COP22 in Morocco from Climate Radio, a temporary FM radio station covering the Marrakech Climate Change Conference. Then, an ecobabble from our archives looking back at the 2015 Paris climate talks, followed by Climate radio’s inspirational interview with Dessima Williams, UN special advisor, urging young people to get involved with climate action. 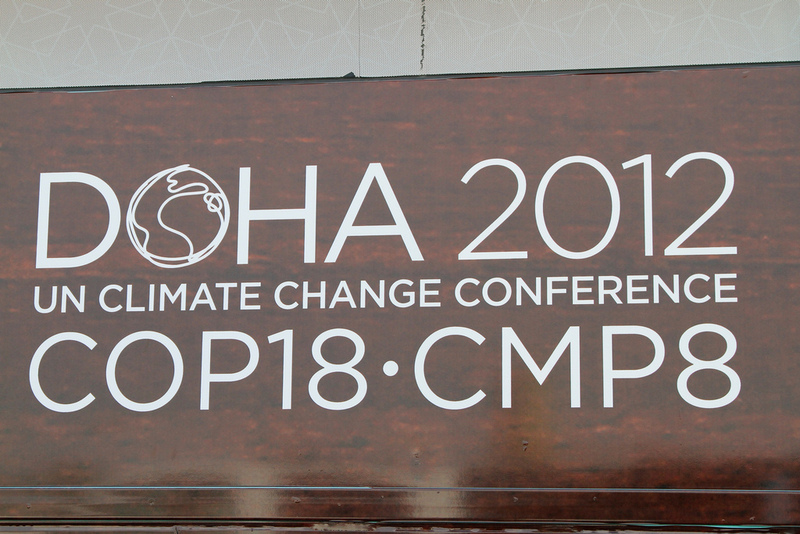 The United Nations Climate Change Conference is held once a year, bringing together members of the United Nations Framework Convention on Climate Change (UNFCCC). The 2015 conference was held in Paris, France from November 30 to December 11. This EcoBabble was made leading up to the conference last year, to explain why it would be an especially important conference. Exclusive for Climate Radio, Dessima Willams, UN Special Advisor, calls on young people to demand and take sustainable development goals and climate action. Photo by: Presidencia de la República Mexicana. This week on Terra Informa we welcome a new volunteer, Shannon White, who brings us this selection of environmental news headlines. The big environmental news story this week, however, is the continued release of oil from a ruptured deep sea well into the Gulf of Mexico. Terra Informa corespondent Andy Read brings us an update on this alarming situation and what efforts are being made to halt the leak. Andy brings us the latest information as of the 1st of May, however please note that the details of this story are changing on a daily basis. Terra Informa will provide further updates as the situation unfolds. With summer right around the corner, a lot of people are taking to their bikes. Beautiful weather makes cycling a pretty fantastic way to get around. But what do you do when it rains? Well, no need to ditch your bike on account of a morning shower or even a day-long downpour. Steve talks to our Bicycle Traffic Reporter, Karly Coleman, to find out what you can do to keep cycling fun, even in the rain. The lexicon surrounding climate change can be pretty complex. Add the united nations to the mix and it can become incomprehensible. Terra Informa corespondent Myles Curry, in another installment of our new Eco Babble segment, defines the main institutions of the United Nations concerned with climate change. After this segment you will never get the UNFCCC mixed up with IPCC and you will be able to talk with confidence to all your friends about COPs and what these organizations actually do. One of the world’s most highly prized fish, the Bluefin Tuna, is severely endangered. An international meeting of nations held in March decided, however, that the risk of further collapse or extinction of this species did not warrant an international trade ban. In this opinion piece, David Kaczan discusses the reasons for the failure of the ban to pass, and what it means for the Bluefin Tuna.